What is Acivir Cream (Acyclovir) used for? 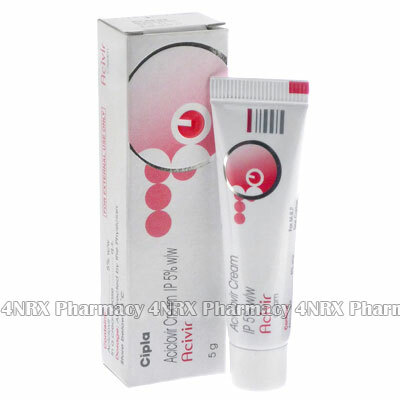 Acivir Cream (Acyclovir) is a topical antiviral medication used to treat blisters or sores caused by herpes. This makes it useful for conditions such as cold sores or genital herpes. The medication operates by preventing the reproduction of herpes virus cells allowing the body's immune system to control the infection naturally. This treatment will only limit breakouts and will not completely cure your condition. Your physician may prescribe it for other unlisted uses, as well. How should I use Acivir Cream (Acyclovir)? Use Acivir Cream (Acyclovir) according to your physician's directions to get the most effective results. A small amount of cream is typically administered to the affected area at the first sign of an outbreak. Wash and dry your hands and the application site to remove any loose skin before each application. Put a small amount of cream on the area and gently massage it into the skin. Wash your hands after each use to prevent the cream from contacting areas not being treated or mucous membranes such as the eyes or nose to prevent unexpected complications. Ask your physician or pharmacist any questions you have about the medication to ensure the correct usage. What are the side effects of Acivir Cream (Acyclovir)? More serious side effects that may require immediate medical attention are flushing of the skin or allergic reactions. Tell your physician as soon as you experience any symptoms that worry you to make sure the correct changes are made to your regimen to prevent more problems from occurring. Acivir Cream (Acyclovir) should not be used to treat herpes infections of the eye. Strictly follow all instructions provided to you by your physician or pharmacist while using Acivir Cream (Acyclovir). Optimum and safe dosage can differ based on the patient and the condition being treated.